This is a Baseball trading card of Greg Maddux - Tom Glavine - Randy Johnson - Roger Clemens. 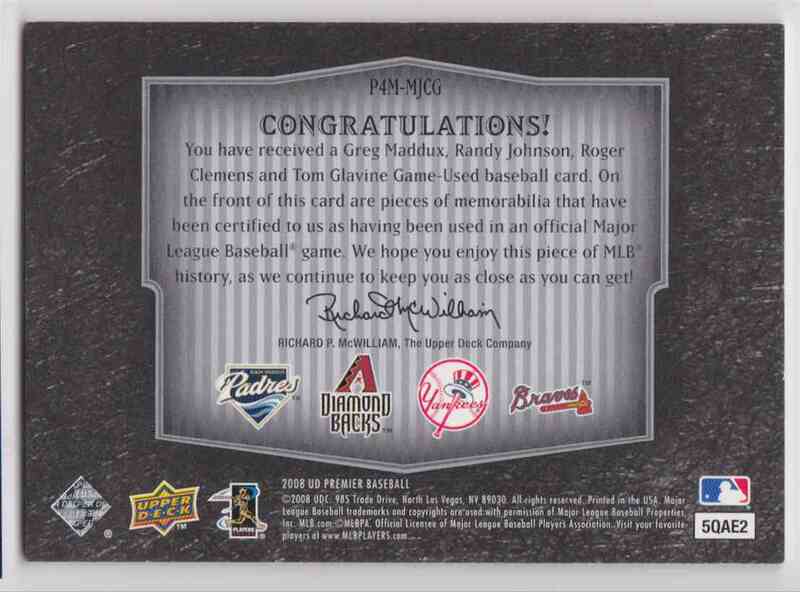 It comes from the 2008 UD Premier Foursome set, card number P4M-MJCG, embedded Quad Relic. It is for sale at a price of $ 59.95.